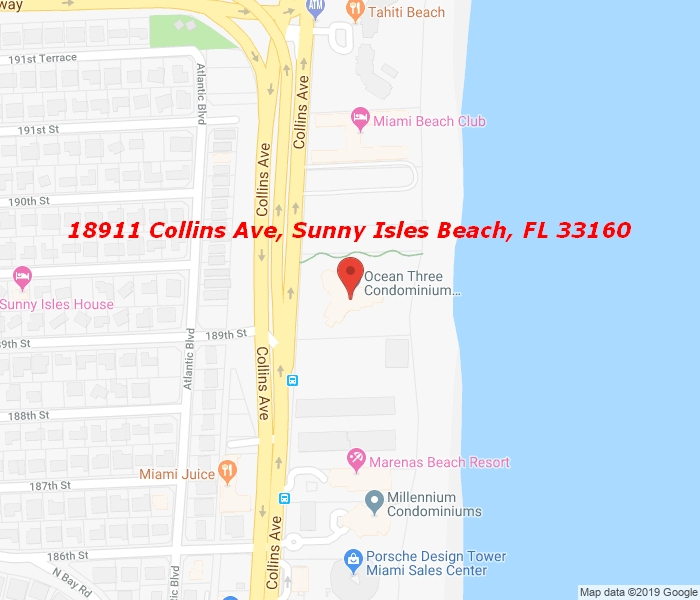 Beautiful modern unit with gorgeous ocean and city views in the heart of desirable Sunny Isles Beach, 2864 sq ft, full 3 bdrs, 4/1 bths with his and hers closets. Chrystal lights, upgraded kitchen cabinets, Italian doors and marble floors though out entire unit. Private elevator entry, TENNIS COURT, oceanfront pool and jacuzzi, gym, SPA, concierge service, roof top jacuzzi, restaurant. Minutes away from 3 kids playgrounds, shops, Aventura Mall and Bal Harbour Shops.